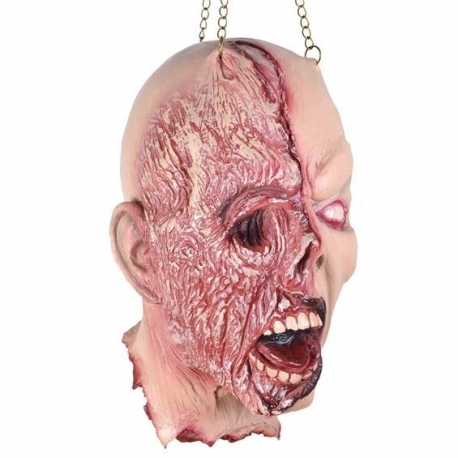 Burnt Face is the ultimate horror prop in our large range of gory hanging heads. 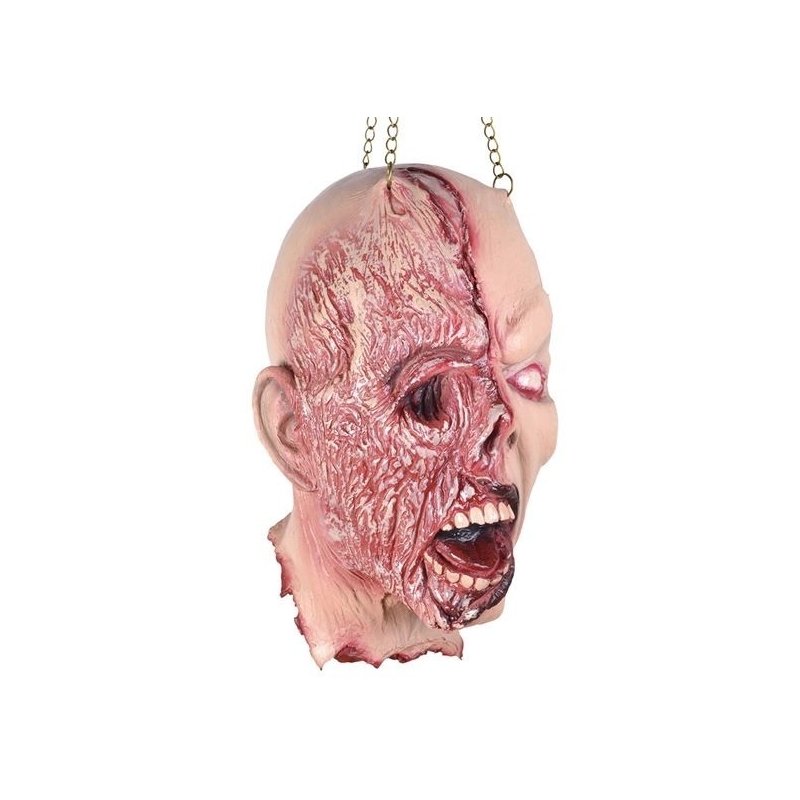 This pitifull creature is the survivor of a serious fire and will churn the stomache of those that can bear to look at the horrific burns and melted face. 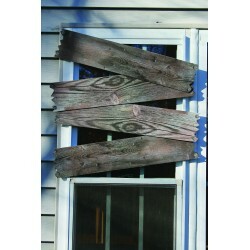 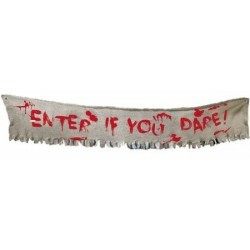 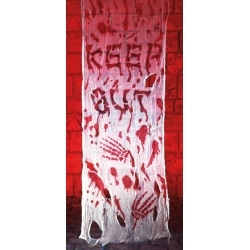 Made of latex rubber and complete with chains for hanging this is a halloween decoration not to miss.